Water is absolutely imperative to our health, and that’s no different for kids. 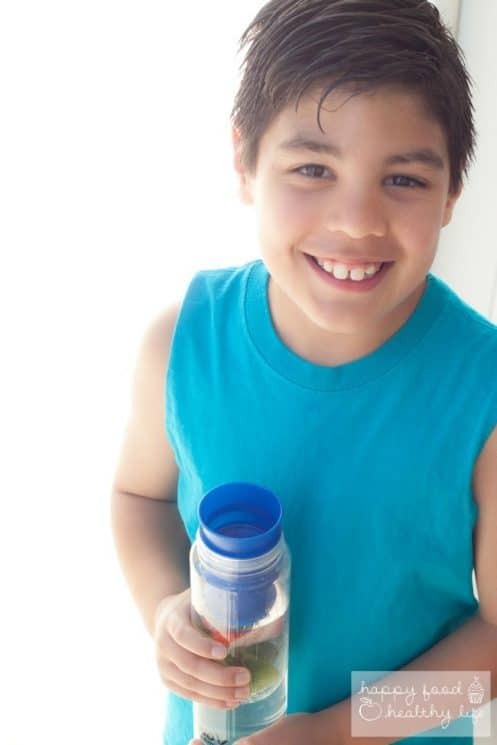 Find out how you can make sure your kids are drinking enough water. 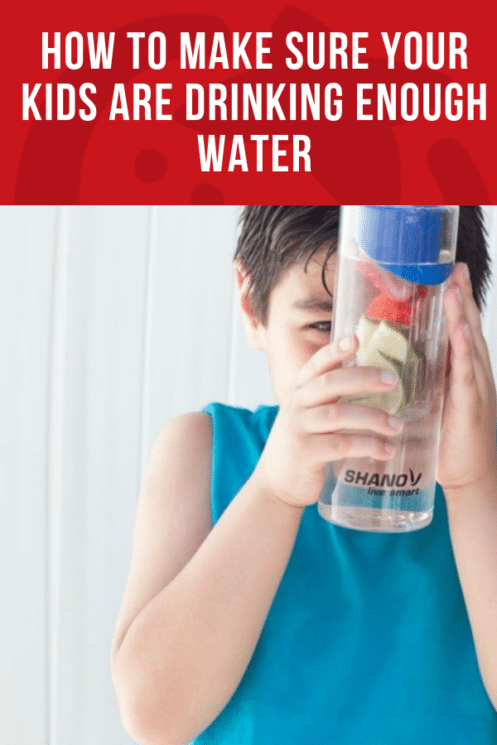 Check out these tips I’ve come up with for getting my 8 year old to really get serious about drinking enough water this summer. I hope they help you out with your kids too! 1. Choose a fun new water bottle. I know, I know – this seems a little like bribery with a new purchase, but sometimes it’s totally worth it. 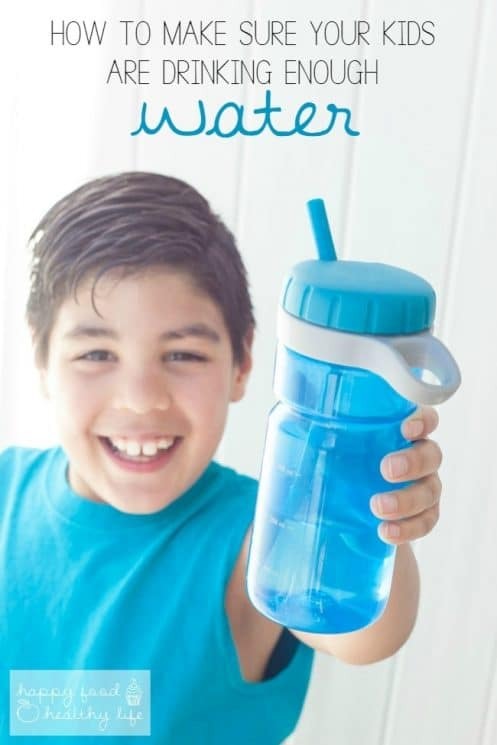 Buying your kids new water bottles that are just for them is the first step. Bonus points if there’s something “gadget-y” about it. For example, my son’s new water bottle has a top that when you turn it, the straw pops out. He thinks it’s the coolest. Bonus points if it has their favorite character on it or it’s in their favorite color. Or you could even let them decorate a plain water bottle with stickers so it’s exactly what they want. 2. Add citrus and fruit for flavor. 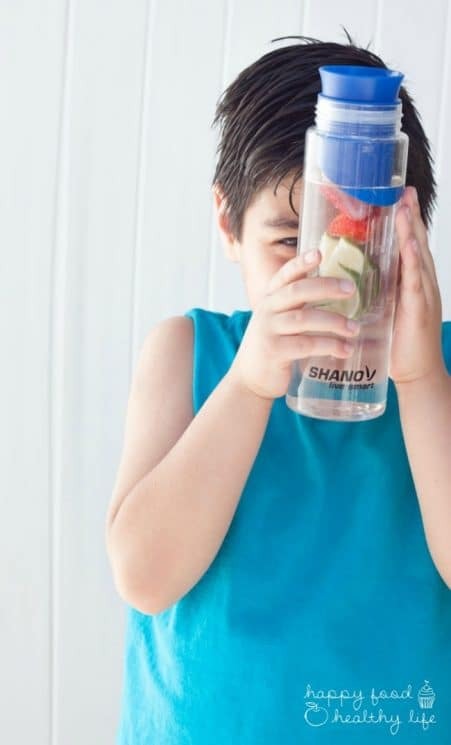 I use the Shano Fruit Infused Water Bottle for infusing my water, and then you can just pour the water into your kiddo’s totally awesome new water bottle after it’s infused for a few hours. 3. Make a reward system. So what I did was create a weekly chart for my son that I’d love to share with you here today! All you need to do is click on it, and it will open a PDF in a new window. Print it out and hang it on the fridge where you can track your kids’ progress. 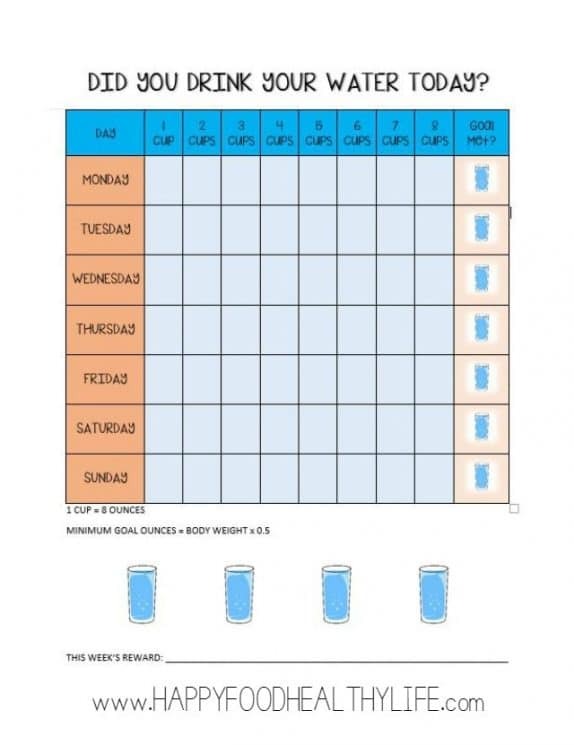 You’ll just need to determine how many cups of water they need to drink each day to determine your daily goal. All three of my kiddos have a large water bottle. It’s filled with cold water first thing in the morning. They get milk or v8 with meals but that’s it. If they are thirsty they drink from their bottles. It also helps me monitor how much they are drinking. If they haven’t had enough half way through the day I simply tell them to chill out for a moment and take a drink. Never had much of a problem. Is there such a thing as too much water for a toddler? My 28lbs almost 3 year old often drinks around 60oz a day. ? No symptoms of diabetes or any other health issue that I can tell. He is very active though and doesn’t get anything else to drink (occasionally apple juice at grandparents houses). I’ve always wondered if this was ok or if it should be limited?